Lantern Media was started by James Hannon back in March, 2000 as a web design services company. It was a way to make a quick buck doing stuff that he did anyway. He got involved with a few high profile websites (like the Opie and Anthony / FoundryMusic website) and did quite well for himself. In the year or so that followed, James found that he tended to really enjoy working with musicians and other creative people when designing their sites. Around the same time, James also had gotten an Apple Computer with IMovie installed. Imovie is a great entry point into the world of video editing. It comes free with Apple computers and can do amazing things. It is also incredibly simple to learn. "Getting an Apple changed James's life"
Apple computer and IMovie opened up a whole new world for James. Making movies was no longer a mysterious and expensive art. So, James, along with trusty friends Leon Leybs and Michael Hepponstall went on a movie-making spree. Many of the movies made during this period can be found on www.mediasupreme.com, as well as many pictures of the Lantern Media guys and their editing studio. 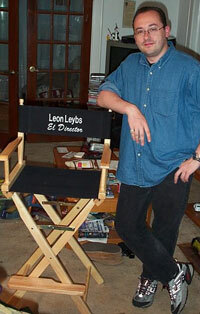 James and Leon began learning Final Cut Pro and starting making even cooler movies... Final Cut Pro is yet another great Apple movie-making application that isnt quite as simple to use as IMovie, but when you do learn to use it, there are amazing things you can do with it! 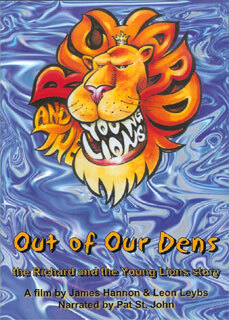 Summer 2001 -- Through friend, and web client Shelly Riff, James became the web designer of the website of 1960's band Richard and the Young Lions. James really found their story to be intriguing and eventually decided to merge his love of filmmaking with the story of the band. And so he grabbed (more like dragged) his old friend Leon to help him. He also tried to grab his friend Mike Hepp but Mike was busy starting his own web design company called Moo Consulting. 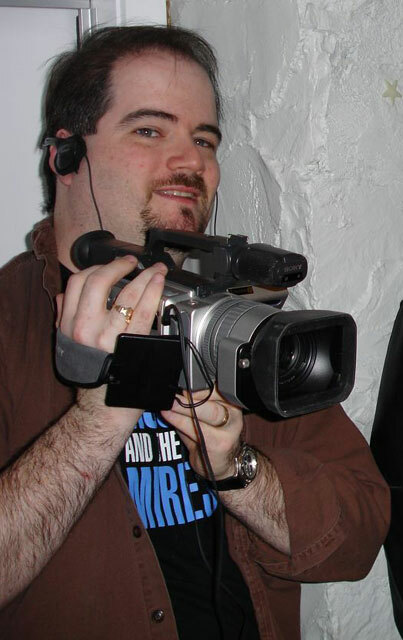 Knowing that Mike was around to handle the web design, James decided to get out of the web design business and go full-time into the filmmaking business. Whats with the stupid dash between Lantern & Media in the website name? Here's the scoop...Lantern-Media.com was originally LanternMedia.com (no dash) until a series of events that involved an unscrupulous company, a hapless webhosting company, and a domain name registrar caused us to lose the original name.In a nutshell, when we started Lantern Media, we went to the webhoster to register the domain name for a year. They registered the name with a non-standard name-server which eventually went out of business. The webhoster also had its share of problems being bought out by someone else. The day it expired, a domain name pirates got a hold of it and tried to demand money from us to get it back. We complained to the webhoster and the domain name registrar and were told "Sorry but theres nothing that can be done"..
We werent going to pay a ransom to get our name back, so we had to change the name to something similar. Make sure you know when your domain name expires - It's nobodies responsibility but your own..